Level Keychain, great for the construction industry. This compact, clear acrylic level with key chain will put your advertising message "on the level" with a wide variety of customers. 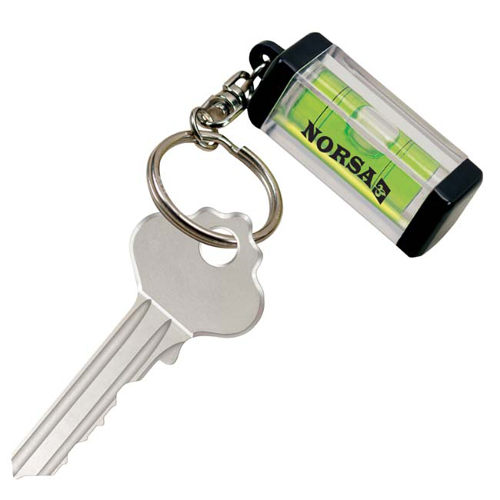 This compact, clear acrylic level with key chain will put your advertising message "on the level" with a wide variety of customers.Great for the construction industry, this clear acrylic level keychain is bound to come in handy. Customize with an imprint of your company name or logo for some added brand exposure. A great gift or promotional giveaway, hand out these level keychains at your next tradeshow or convention! Bulk / 16 lbs / 1000 pcs.